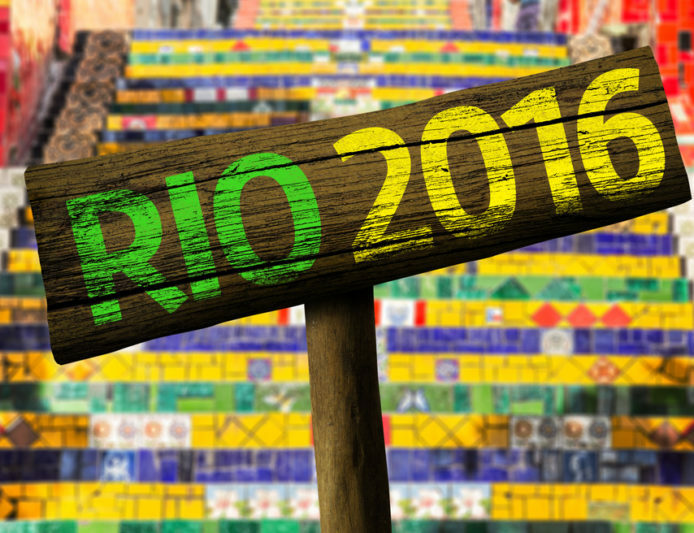 So maybe you can’t make it to Rio de Janeiro for the official 2016 games, but these refreshing cocktails are the perfect way to celebrate at your Olympics-themed party or your watching sesh. You can whip up these quick drink recipes faster than an 100-meter sprint; no athleticism required! Now all you need is a couple summer games-inspired drinking games. Synchronized sipping, anyone? The athletes at this year’s games will be in peak performance so why not be at peak buzz while watching the games? This layered cocktail mixed with champagne is reminiscent of the Olympic torch and will get you and your guests in the spirit. Pour in a champagne flute and you’re ready to party! Place 6 pomegranate seeds in the bottom of each flute. Add orange juice to each. Top with champagne. 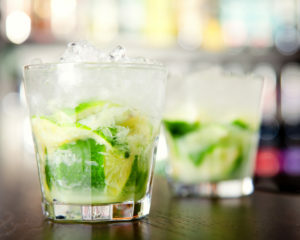 How can you celebrate Brazil hosting the summer games without the country’s delicious national drink? This classic cocktail is made with Cachaça, a Brazilian sugar cane spirit similar to rum. The recipe calls for only three ingredients and ice, so you can save the feats of strength for the athletes. For round two, you can also substitute the lime for red berries or tangerine for a flavored twist! Place the lime wedges and sugar into a glass. Muddle well. Fill the glass with ice cubes. Pour in the cachaça. Stir. Sip. Can’t find Cachaça nearby? Try a classic martini, amped up with gold accents for a winning touch! Shake up your favorite gin and vermouth with ice, then fleck the martini with edible gold stars. Place ice, gin and vermouth in a mix glass. Add ice and stir 40 times to get very chilled. Strain into a martini glass and add gold stars as a garnish. Whoever you’re rooting for, these Olympic-inspired cocktails will get you in the mood for Rio 2016 and maybe you’ll beat your own record—for fastest drink mixing of course!